The wine retails for $13.99. 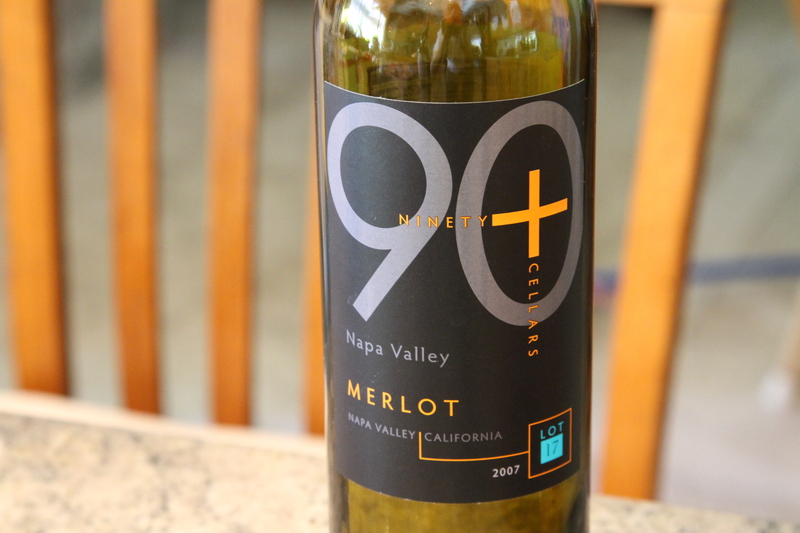 It was made from 100% Napa fruit. That is a good start in my books. I popped the cork, and let it breathe in the decanter for an hour. On the nose I detected black currants and subtle oak. The palate revealed black cherries and at first it was a pretty straight forward wine. Nothing special, nothing off putting, just okay. I let it breathe more. It was worth the wait. After about 3 hours the richness opened up revealing plummy tannins. It reminded me a little of the Bordeaux style, especially later on. The Rich chewy and young tannins were nice but not overpowering. At first I thought this was more of a pasta Merlot, but later on it could have paired well with meats aswell. Thanks for the comment Dave. For me “Chewy” refers to a big mouthfeel, a bigger heavier feeling wine with higher tannins. Astringent, mouth puckering.